Macmillan Cancer Support was named brand of the year 2014 by the Marketing Society and we were absolutely delighted – if not a bit shocked – to have stood out against brands including O2 and easyJet. It’s a nice reminder that our sector can hold its own alongside the corporate world in terms of marketplace performance, innovation and impact. Macmillan has transformed its brand over the past eight years enabling us to reach far more people, deepen relationships and dramatically increase our influence. By 2020, nearly half of the UK population will have a cancer diagnosis in their lifetime and it’s essential our brand helps the public, business and key influencers understand and engage in what we do, as well as how they can help to ensure no one faces cancer alone. Back in 2005 we faced significant challenges as an organisation, including the deeply entrenched misperception that we dealt solely with end of life nursing care rather than being known for the full range of support services we offer. It was time to look at things differently. So in 2006 we rebranded, and redefined what we were in the world to do, and developed our services in line with this. We wanted to become a brand that’s relevant to everyone affected by cancer because we understand the practical, financial and emotional impact of a cancer diagnosis – as well as the medical impact. We wanted to change attitudes to cancer and cancer support, making it part of our everyday world and not the terrifying Big C, talked of in hushed tones. We took the decision to change our name from Macmillan Cancer ‘Relief’ to ‘Support’, and made substantial changes to our visual identity and our tone of voice, making it much warmer and less corporate. We ramped up campaigning activity, becoming bolder and more assertive than before. We also placed even greater focus on listening, understanding and responding to the needs of our customers and this continues to contribute to our success. Spontaneous awareness of Macmillan is at an all time high but there is still so much more to do if we are to realise our ambition of helping everyone living with cancer, and inspiring millions of others to do the same. The world in which we operate continues to change so we must change too. Which means evolving our brand. In 2014 we took the decision to refresh our brand proposition and identity to reflect the changing cancer story and changing customer expectations, as well as to respond to a shift in how people are talking about cancer. 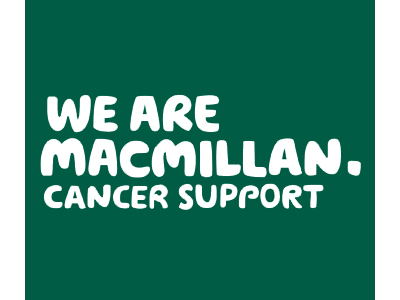 Our brand proposition has now changed from the idea of ‘a team of inspiring people in your corner’ to ‘reclaim life from cancer’ and this is helping us to create a greater sense of positivity and urgency, as well as better explaining what Macmillan does. Our new creative principles centre on being ‘for and by real people’, ‘straight forward’ and ‘inspiring action’, providing us with a more effective platform to allow people’s voices to be heard. Communications is of course only one part of the picture. Even more important is the experience people have with Macmillan. Whether that’s, emotional support from a nurse or one of the cancer support specialists on our helpline, reassurance from people going through the same thing as you on our Online Community, volunteering or the sense of achievement of finishing a fundraising challenge as part of Team Macmillan: our success as a brand stems from these experiences. It’s why it’s so important everyone who is part of the Macmillan family feels they own the brand along with a responsibility to build our brand in everything they do. When we rebranded in 2006, the ‘we’ in our logo was designed to convey so much more than simply ‘us’ as an organisation. It was intended to create a sense of movement with a central tenet being the idea of ‘letting go of our brand’. I’m immensely proud to see this in action, with people from all over the UK doing great things in Macmillan’s name. It’s this army of supporters, volunteers, staff, health and social care professionals and people affected by cancer, who have helped us become one of the UK’s most trusted charity brands. I’ve worked at Macmillan for the last 12 years, initially in the Marketing team and latterly heading up the Brand team. I led the rollout of Macmillan’s new brand identity in 2006 and developed our first brand strategy as well as running campaigns large and small. Prior to that I worked for a creative communications agency on a wide range of causes from human rights and overseas development to social care and wildlife. I’m passionate about creating powerful charity brands and truly believe they can change the world.